While a home is difficult to wrap and put under a tree, here are a few factors that may motivate you to buy a home during the holiday season. Yes! 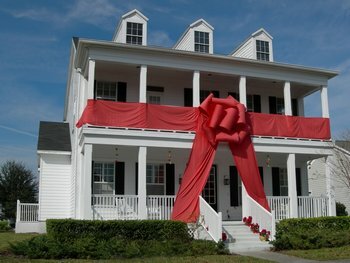 Buy a home for the holidays! Holiday moving may sound challenging. If you are up to the challenge know that many others are not. While there may be fewer homes available, there are also fewer homebuyers – and that should equal less competition when it comes to buying your home during the holiday season. The law of supply and demand works in your favor if you plan to buy a home during the holiday season. If there are fewer homebuyers during the holiday season, demand is low due. Sellers will be more open to negotiate purchase price and/or seller contributions. On the otherhand, when demand is high, prices increase and sellers feel less need to negotiate and/or give concessions to homebuyers. It’s likely that people who are selling their homes over the holidays are highly motivated to do so. They may be weary from keeping their home “show-worthy” or leaving their home when a realtor brings a potential home buyer for a viewing. They also may be relocating for a new job that begins with the new year and must sell their home. Or, perhaps their home has been on the market for a long time and they need the money from a sale before the year is out. So what you have during the holiday season is motivated sellers and decreased competition. This means YOU have great leverage to get a better deal. Need new furniture or other household items for your new home? You will find many, many, many retailers motivated to lower their prices before, during and after the holiday season. Clearance prices on home goods will be a’plenty and you will be able to make that house your home with your own personal touch and taste in home décor for less money. Are you a potential homebuyer? Are you motivated to find the home of your dreams and get a great deal in the process. The holiday season should motivate potential homebuyers to search for a home in earnest. It will be the best present you buy yourself and your family. Put a bow on it! Kara Davis of Crew Lending is a leading provider of home mortgages in Lake Charles Sulphur, Westlake and the entirety of Louisiana. For more information call Kara Davis at 337-842-0115 or click here for more information.